This feature is an excerpt from the cover story of Unwinnable Monthly #104. If you like what you see, grab the magazine for less than ten dollars, or subscribe and get all future magazines for half price. There are two metaphors that are prevalent in film theory that can help in understanding the relationship between the spectator and the on-screen media: the window and frame. In their book Film Theory: An Introduction Through the Senses, Thomas Elsaesser and Malte Hagener explain how these two concepts share several fundamental differences and similarities. The differences can be quickly summarized through Elsaesser and Hagner’s explaining: “. . . one looks through a window, but one looks at a frame”, the window shows something that is beyond itself through its transparent pane barrier whilst the frame draws attention to what is being displayed within itself. Although these metaphors are an interesting approach for evaluating how we see cinema, Elsaesser and Hagner also highlight that both the window and the frame metaphor imply a surface, a barrier to the on-screen world. There is always a space between the spectator and what lies within the frames of the screen. Examining and exploring the concept of frames reminds us that how something is framed is just as important as what is in that frame. 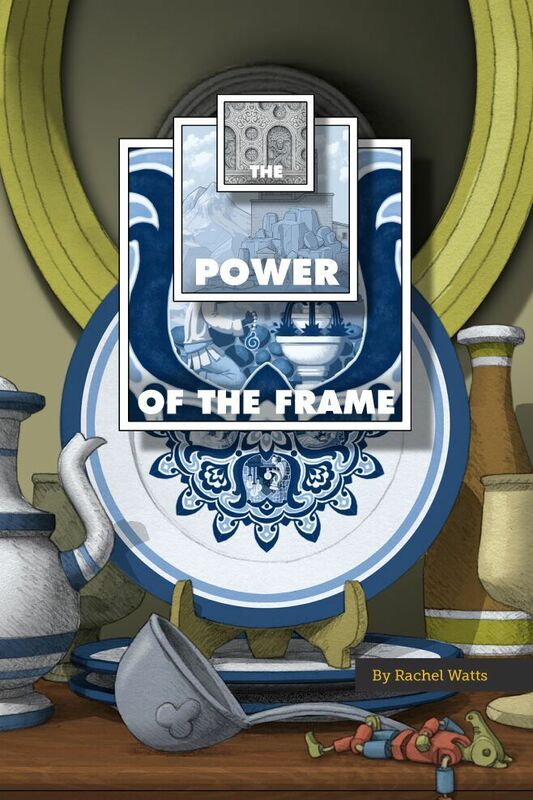 How does the frame as an object influence the way we experience art and media? An interesting example of an answer to this lies within the point-and-click puzzle game Gorogoa. Players are actively playing with the frame, it’s an object that player’s can interact with. 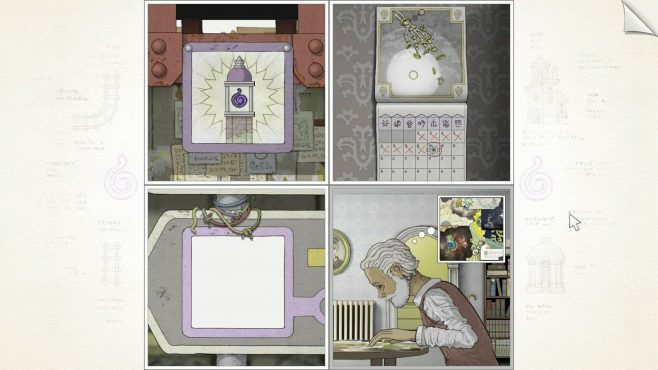 Gorogoa uses the player’s interaction with frames to create a unique puzzle mechanic and an immersive storytelling technique. Gorogoa is a beautifully crafted game that took the developer, Jason Roberts, over six years to create. It is structured into four square panels in a two-by-two grid, which the player can move around to solve puzzles. Each panel holds a different place that the player can interact with, a small world within its borders. Using sub-framing (the frame within a frame technique), the player can move into and through different frame objects such as doorways, windows and paintings. Moving different panels around and diving through different frame objects are part of Gorogoa’s gameplay. Typically flat surfaces such as pictures, photo frames and street signs are now given depth as the player can dive into these surfaces and find other places to explore. These frames act as doorways to different digital spaces and the player is in control of how they move around and through these spaces. The story and puzzle solutions in Gorogoa can be found inside, outside and in some cases behind frames. Even though Gorogoa has a flat comic book look about it, the game has cleverly found a way for surfaces to hold depth. Rachel Watts is a London based freelance videogame journalist. She enjoys writing about the overlap between art history and gaming and enjoys tending to her virtual plants. 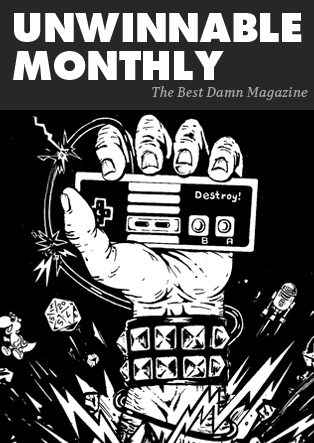 You’ve been reading an excerpt from Unwinnable Monthly Issue 104.